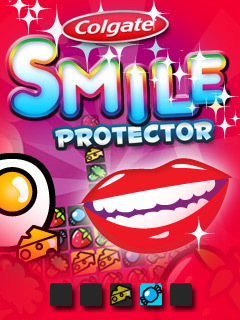 What is Colgate Smile Protector? 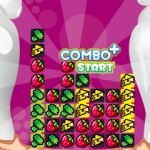 As food starts to collect between teeth, you need to group it and clear it to keep the smile shining. Powerful combo mechanic pays off strategic play. 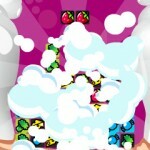 4 powerups: brush, floss, rinse and super clear help you keep the mouth clean. 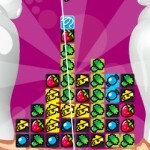 Beating the various stages of the game allows you to win airtime rewards. 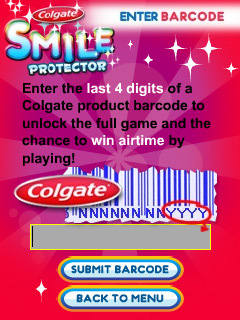 Entering a Colgate barcode will unlock Endless Mode, in which the game gets harder over time. 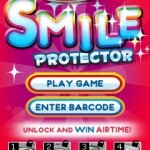 Colgate Smile Protector is a drop style puzzle game. Food collects between two teeth and you are charged with grouping and then clearing the buildup with special toothpaste blocks. 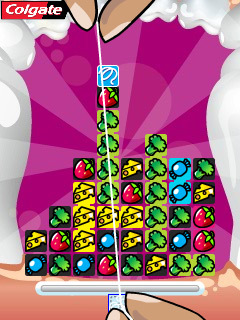 The Game features a combo mechanic for clearing successively larger groups, so playing strategically is to your advantage. 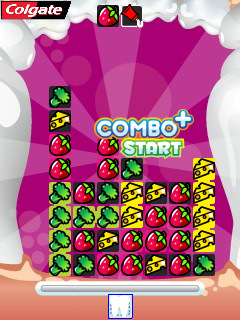 It also features a powerup system with 4 unique powerups: A brush that clears the top layer of buildup; Floss, which clears a whole column of buildup; Rinse that defeats and repels plaque; and a Super Clear that will get rid of all food of a certain type. 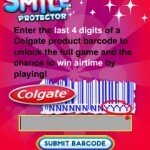 Commissioned by Colgate to highlight ‘Oral Health Month’ 2009, the game lets players win airtime when they unlock achievements and oral health messages. 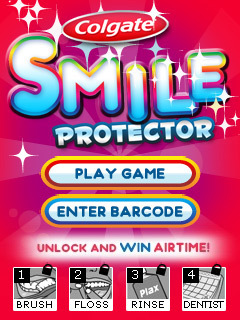 Colgate Smile Protector has been played for over 64 000 minutes in over 7000 sessions. 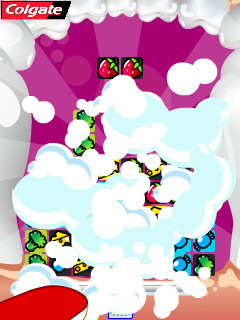 Gameplay time averages 8 minutes per session with users playing at least two sessions per connection. Over 3000 connections were made, resulting in just over 2000 airtime rewards before the airtime prize pool was fully claimed. 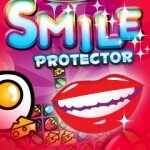 Users still connect, despite the prizes being finished, this means that people still enjoy the game even after promotion ceased with the end Oral Health Month.